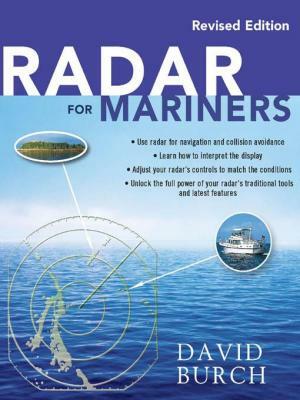 A complete book in English for the use of the yacht radar on board. With the most modern techniques like: MARPA, lolypop waypoints and interfacing with other instruments like compass, GPS and digital charts. Shortly mentioned is AIS and radar use during races. Because of the many practical tips this book is essential to have on board your sailing boat or motor boat. Written by radar specialist David Burch, also know from Radar trainer and Starpath school for Navigation. Also included a CD with interactive Starpath radar Simulator testruns. Learn how to interpret your radar correctly.